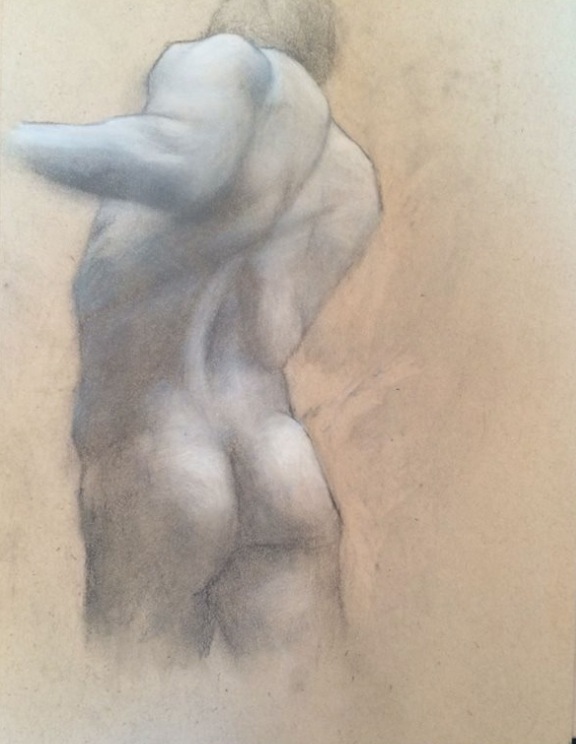 I just finished a figure foundations course at Gage Academy in Seattle with Aron Hart. This is probably my best of the class – it combined graphite with white charcoal. My ability to render really improved over the course of the term. Over the summer I also took a self-paced course with Scott Eaton and that also helped me learn anatomical landmarks.